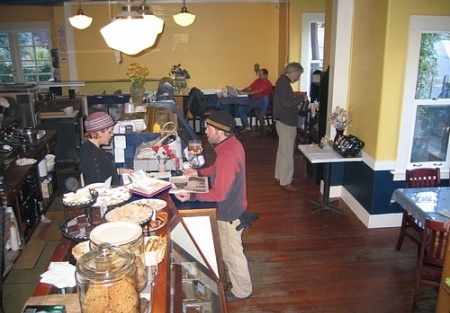 Beautiful large coffee house and bakery located in a registered historical building one block from the Sound in one of Washington's most sought after tourist locations. This coffee house offers a great mix of freshly baked organic goods, fresh sandwiches, soups, desserts and more. It's also a great place to check out local artwork and listen to live music outside in the 10,000 sqft concert venue. It was originally established in 1982 and was quite successful until just a few years ago. The current owner purchased the business in 2006 and has since revamped the place and in the process has built a solid loyal customer base all through word of mouth advertising. The restaurant is now headed in the right direction and has seen good growth in the last year with monthly sales of $35,000 and is projected to see even more growth this year. Priced to sell quickly! Select one of the orange buttons below to get the name and address of this restaurant.